FULL DESCRIPTION A delightful two double bedroom semi detached character home situated in the much sought after location of Highcliffe, close to Winchester city centre. The property is ideally situated backing onto allotments, benefitting from delightful countryside views to the rear and still being within walking distance of the High Street and mainline train station. The house currently offers well proportioned and beautifully presented accommodation but also offers great scope for extension to rear and in to the loft (which has already been partially converted) subject to necessary planning consents. The ground floor currently comprises: Entrance hall, living room with bay window, dining room, kitchen and conservatory. 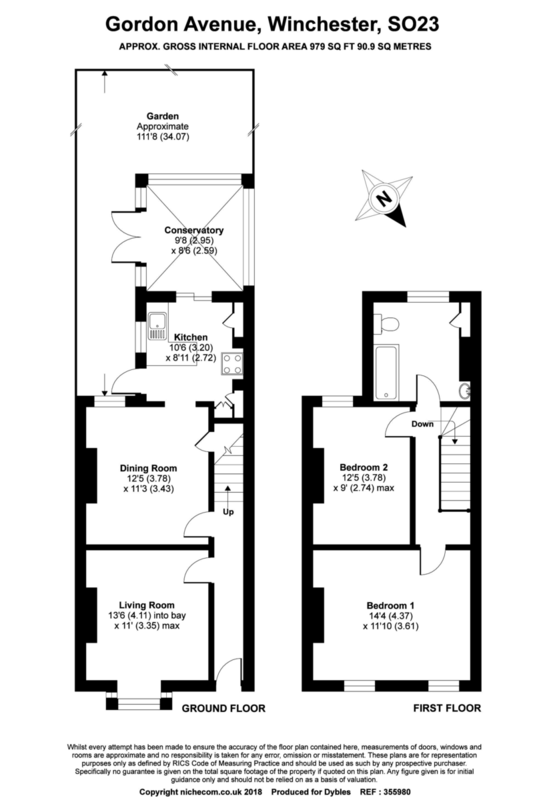 First floor: Two double bedrooms and a large family bathroom. The property also benefits from gas fired central heating and double glazing. Externally the rear garden is a particular feature of this property, mainly laid to lawn and in excess of 100 ft in length. On road parking is also available to the front.